VPN leaks reveal your identity and expose you to threats. Here’s a guide on checking whether your VPN is actually protecting you and working in order. Found leaks? Well we also share some great alternatives. A trusted and robust VPN—virtual private network—is the best way to protect yourself online. What was once considered a piece of software used by people participating in shady activities online, VPNs have massively grown in popularity and overall use, as regular people such as you and I have grown more aware of the various privacy issues that face us online. Just because you’re connected to a VPN doesn’t mean you’re protected, though; some do a far better job than others do, and it can often be difficult to know which ones do well. There are several examples of fast, functional, and jazzed-up VPNs out there that look good and have big numbers but do very little to protect the people who use it (see: Hola). Is Your VPN Not Working as Expected? So, you’ve done all your research and decided to purchase a subscription to a VPN that meets your needs, only to find that it’s not working as well as you expected, or you’re not 100% sure what being protected looks like. If this sounds like you, there are a few different things you can do. To know what it looks like when a VPN isn’t protecting you, you need to know what it looks like when you’re not connected to a VPN. It’s very easy to do this, and you can do it by typing “What is my IP address?” into Google. Note down this number—it will be a string of numbers like 161.185.160.93 or similar—for later. It’s not just your IP address that can be exposed over an insecure VPN. Other data such as DNS (Domain Name System) queries, your geolocation, and WebRTC can also ‘leak’ out of a VPN tunnel. Again, whilst not connected to a VPN, head to the website IPLeak.net and make note of the information you see. Depending on what country you’re in, you should see your own country’s flag. If you were in France, you should see a French flag, for example. This is because you’re currently not connected to a VPN server and your ISP is in the same country as you. As an extra level of protection, head on over to DNSLeakTest.com and use their “Extended Test”. This can take a little time, but it’s worth it if you’re especially privacy-conscious and want to uncover any vulnerabilities that exist that may not be picked up by smaller tests. To test whether or not the VPN you’re using is leaking your information, connect to one of its servers outside of your own country and run the same tests again. This time, you want to be paying special attention, and ensure that none of your information is showing. 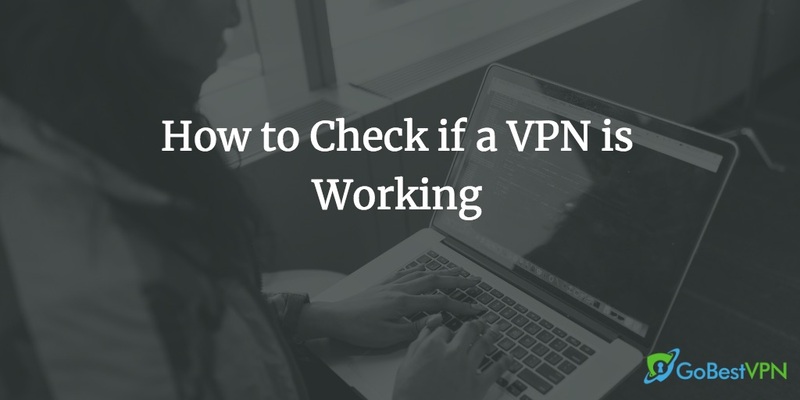 If, when connected to your VPN of choice, you see your personal IP address or DNS information, it means the VPN you’re using is leaking and is therefore not protecting you. In this case, you should seriously consider whether it’s wise to continue using that particular VPN. If you’re simply using the VPN to stream content through Netflix, leaking isn’t an issue. If, however, you’re using a VPN to get past censorship or browse the internet without your ISP or other third-parties seeing what you’re doing, a leaking VPN puts your privacy at risk and you should abandon it straight away. Basically, none of your personal information should show up when conducting the tests mentioned above when you’re connected to a VPN. You may be having some trouble figuring out whether or not your VPN has successfully unblocked regional content. Whether this is BBC iPlayer or Netflix, again, there are some things you can do to double-check. Chances are that you’re using a VPN for Netflix because you want to access U.S. content from another country (let’s face it, they have the best shows!) A good way you can find out whether or not your VPN connection to U.S. Netflix is working, is to search for shows that only appear for U.S. Netflix users. The Office is a good example. 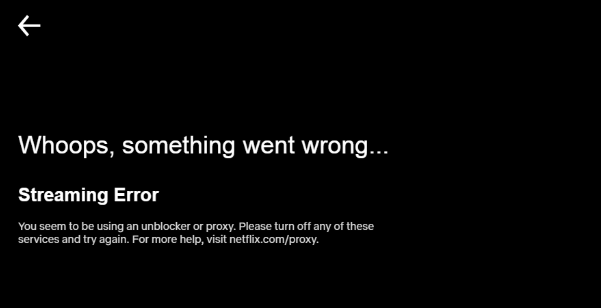 If Netflix detects that you’re using a VPN, it will block your connection regardless of whether the show you’re trying to watch is available for your country or not. If you get this error, it’s not working. Using BBC iPlayer or Hulu? It’s a lot easier to see whether or not your VPN connection is working with these services. If they detect your VPN, you’ll be barred from using the site with the following or similar errors. Despite what most VPN providers claim (that they’re the “most secure” and the “fastest”, amongst other things), they often aren’t being entirely honest. The truth of the matter is that an overwhelmingly large number of the VPNs that are currently available today leak, and leak badly. We could sit here and list VPN after VPN that we’ve found leaks IP and DNS information during our testing, but we’d be here for a while. Instead, here are a small handful of great VPNs that don’t leak. On top of that, they’re fast, affordable, work with Netflix, and don’t log any of your information. ExpressVPN is by far our favorite VPN, and it’s no coincidence that it’s also the favorite VPN of millions of users worldwide, too. Every single VPN review site that has reviewed ExpressVPN has come to the conclusion that it’s by far the very best VPN you can get right now. It’s fast, secure, works with Netflix and supports torrenting, boasts thousands of servers worldwide, and can be used on any device including routers. It’s the undisputed king of VPNs and if you’re looking for a brilliant all-round service at a competitive price point, we can’t recommend anything else. If you’d like to learn more about ExpressVPN, feel free to check out our comprehensive review of it. Coming in second is NordVPN. Again, it’s another firm favorite that almost always features highly in VPN top lists. 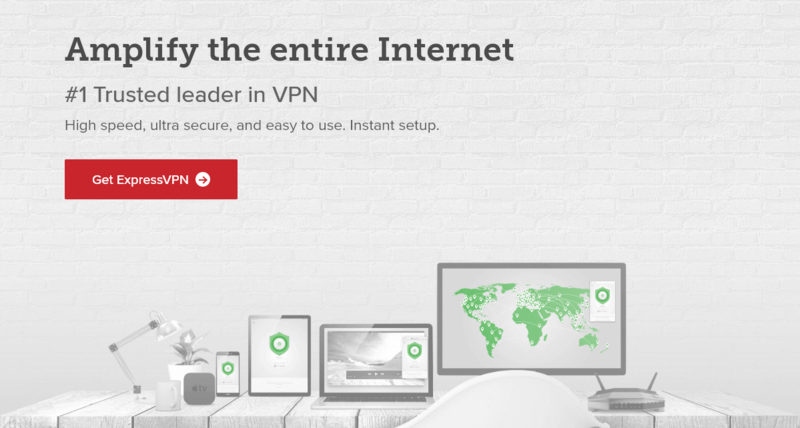 It’s just as good as ExpressVPN in terms of speed, safety, features, and usability. In fact, NordVPN has more servers available than ExpressVPN does, so if breadth of choice when it comes to servers and locations is your priority, NordVPN will suit you nicely. Our only gripe is that in order to get the cheapest monthly price, you have to commit to a 3 year plan. But NordVPN has been on top of the VPN game for far longer, so it should be an easy decision for most people. Romanian-based VPN CyberGhost was founded in 2011 and has quickly grown to be one of the largest VPNs around. In just over 7 years, they’ve gone from relative obscurity to over 20 million users and, when we look at the service itself, it’s easy to see why. Again, it’s a fast and secure VPN that delivers what it promises without breaking the bank. It’s constantly updated—seriously, it updates just as frequently as leading anti-virus software—and is located outside of any surveillance agreements such as 5 Eyes. These three represent three of the best VPNs you can get right now; best of all, none of them will cost you much more than the price of a few cups of coffee per month – a bargain if privacy and other VPN benefits matter to you. If, while doing this, you do not see your personal IP address and no leaks are detected, you’re good to go! Want to just get going with a VPN that’s guaranteed to work? We recommend checking out our VPN top list for further information—all those that appear within the top 5 are guaranteed to provide full and uncompromised protection.